The Michigan Technological University Archives and Copper Country Historical Collections recently partnered with the Carnegie Museum of the Keweenaw to launch a photograph installation documenting moments in local African American history. 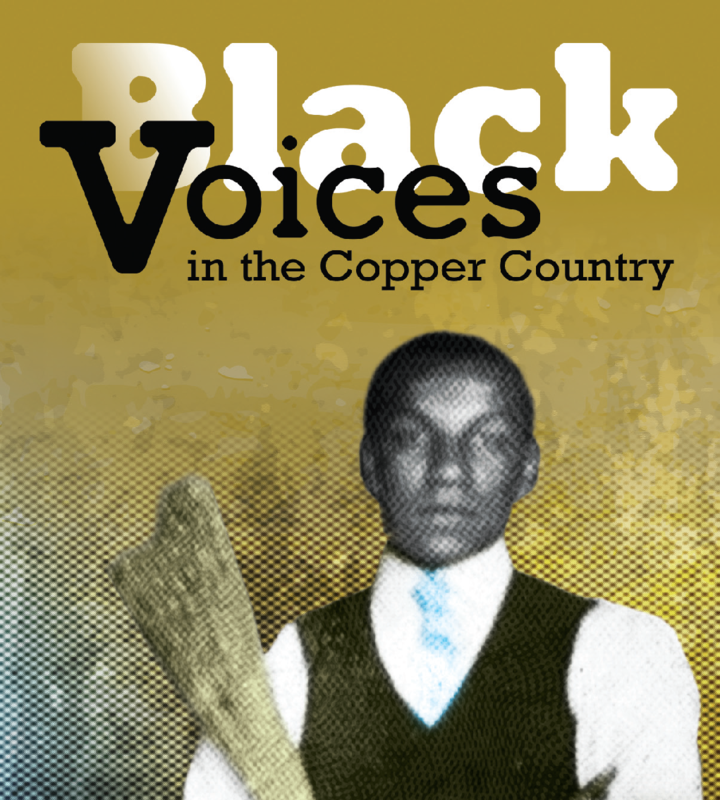 This exhibit is part of the Black Voices in the Copper Country project, a research and outreach series developed by the Michigan Tech Archives. 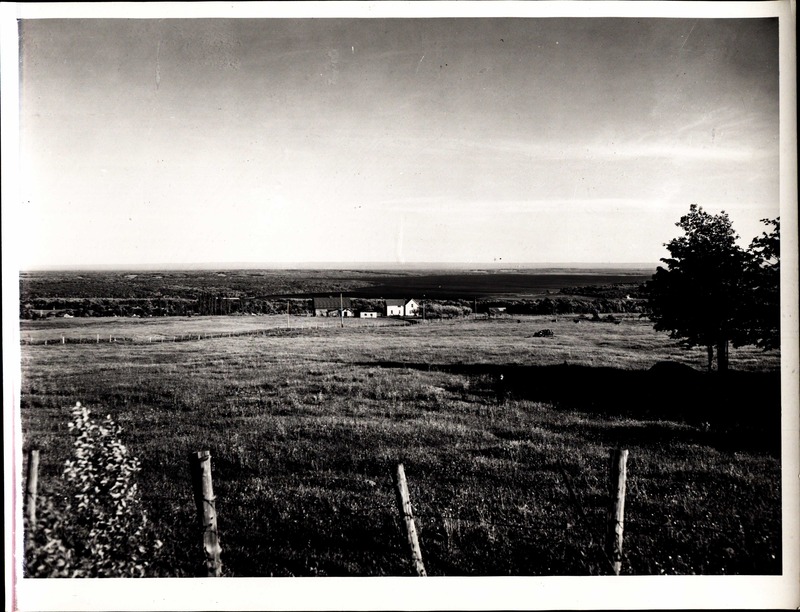 This project was designed to illuminate black social history in Michigan’s northwestern Upper Peninsula, especially Houghton and Keweenaw counties. The primary goal of this project will be to inform and engage the public about the existence of historic black residents in the Copper Country and to explore how themes of community, belonging and identity evolved and changed over time, from the late 1800s into the present day. 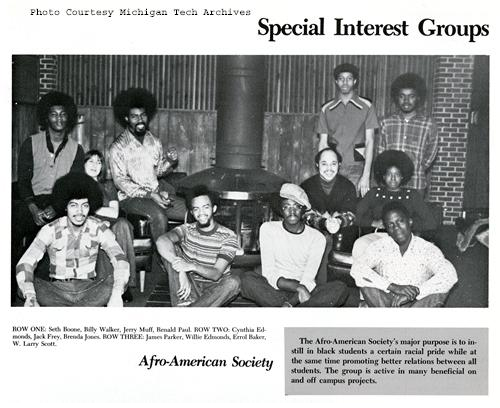 These themes are being explored in both a historical context and a modern context, with sights set on exploring the region generally as well as on activities and student life at the Michigan Technological University campus. A reception and presentation to discuss the exhibit, the project and the mission of the Michigan Tech Archives will take place at the Carnegie Museum of the Keweenaw, in downtown Houghton, on Tuesday, February 23 starting at 6:30 p.m. A short reception will be immediately followed by a presentation at 7:00 p.m. in the museum’s downstairs Community Room. Refreshments will be served. 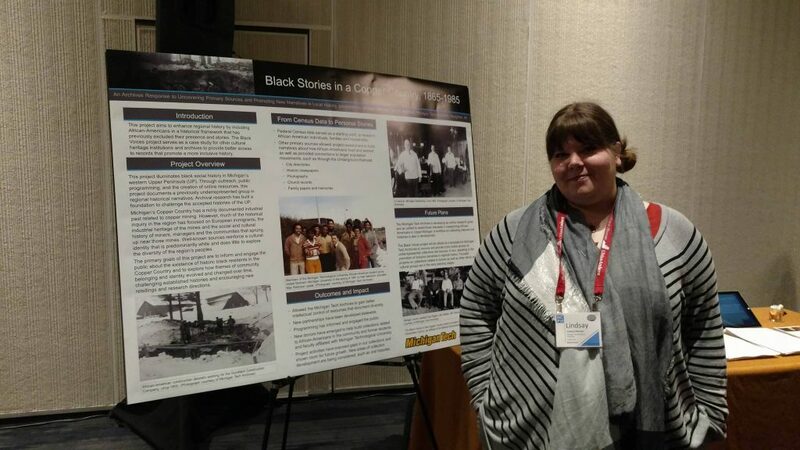 The Black Voices exhibit is curated by Lindsay Hiltunen, Senior Archivist at the Michigan Technological University Archives and Copper Country Historical Collections. This project is funded in part by the Michigan Humanities Council, an affiliate of the National Endowment for the Humanities. For more information about the project or the Michigan Tech Archives, please contact Lindsay Hiltunen at (906) 487-2505 or by e-mailing copper@mtu.edu. The J.W. 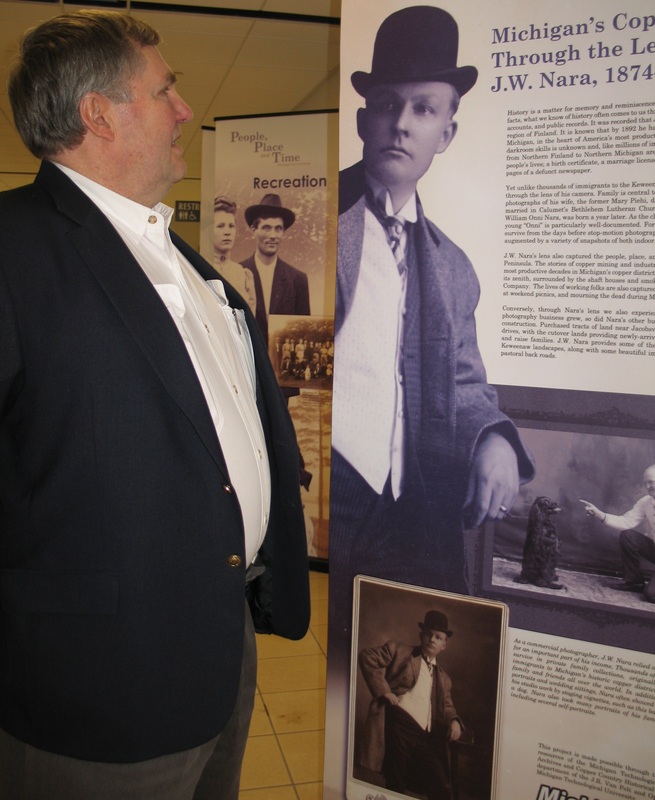 Nara exhibit, “People Place and Time: Michigan’s Copper Country Through the Lens of J.W. Nara,” will be on display until mid-December 2015. The exhibit was installed to honor the memory of Dr. Robert Nara, who passed away in September. Last month the campus community and residents all across the Copper Country said goodbye to Dr. Robert Nara, a well-loved local dentist and philanthropist. 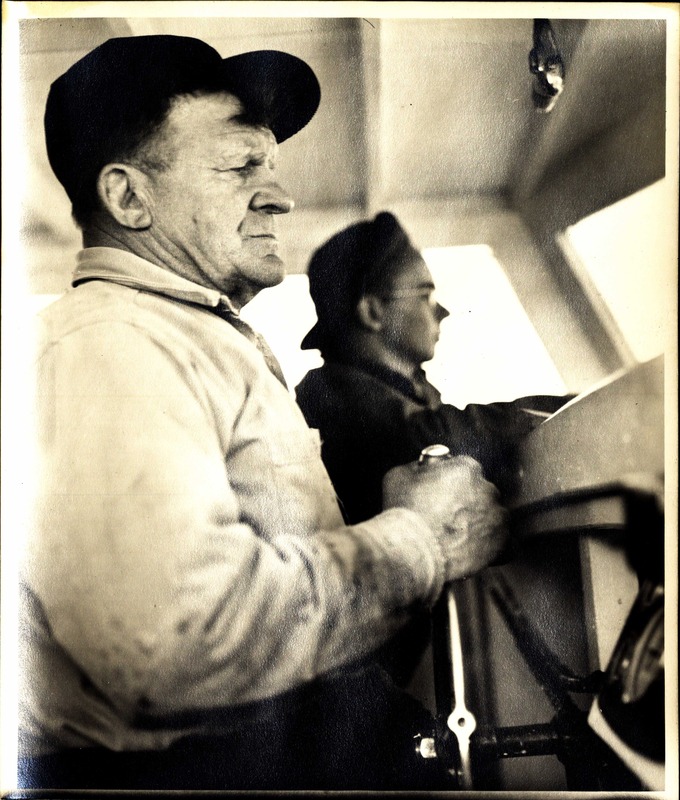 Nara and his wife Ruth, who survives him, made significant contributions to many aspects of life and community in the Copper Country, and specifically to Michigan Technological University. 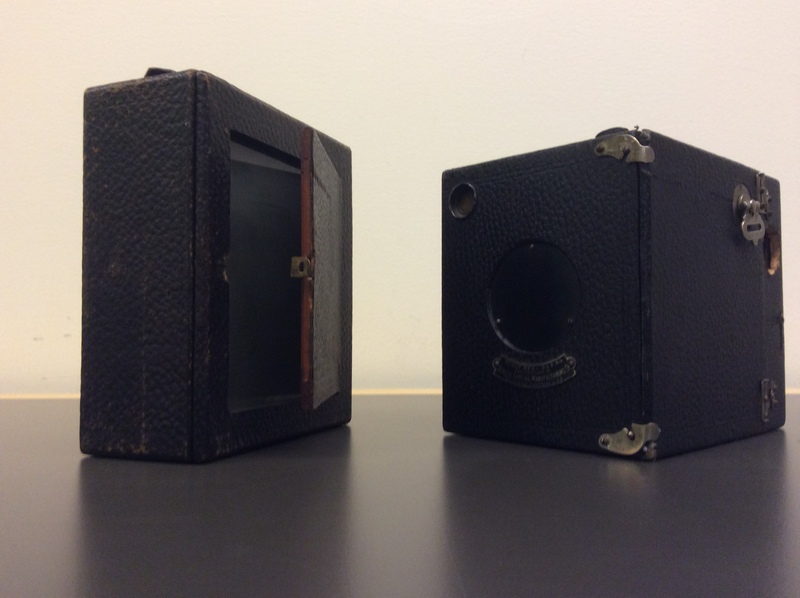 The J. Robert Van Pelt and John and Ruanne Opie Library, including the archives department, have been lucky to be a part of the generosity of the Nara family and the Nara Foundation. 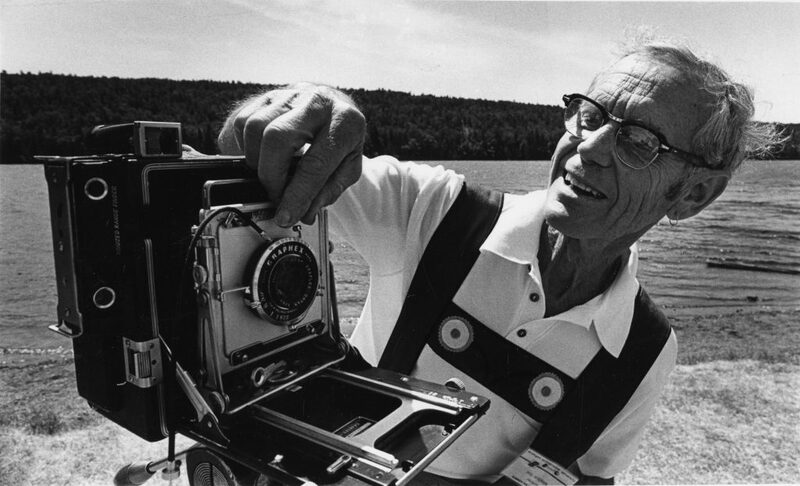 Notable gifts include contributions of funds and equipment to help jumpstart the Keweenaw Digital Archives as well as support to develop a traveling exhibit about Nara’s grandfather, pioneering local photographer J.W. Nara. 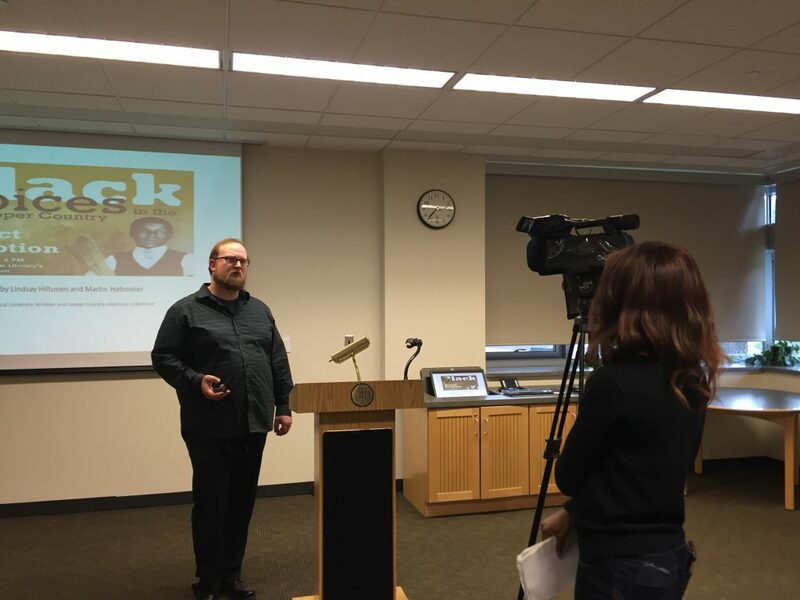 In an effort to honor the memory of Dr. Robert Nara and to thank him for his kindness and generosity over the years, the Michigan Technological University Archives and Copper Country Historical Collections has installed the J.W. 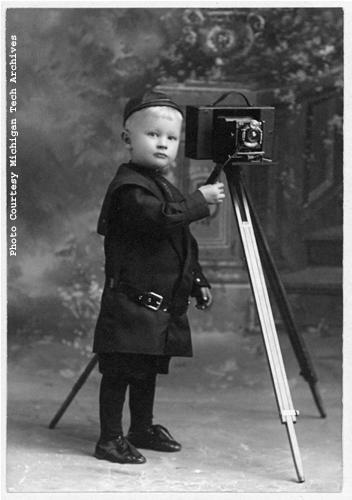 Nara exhibit, “People, Place and Time: Michigan’s Copper Country Through the Lens of J.W. Nara.” The exhibit will be on display throughout the remainder of the fall semester in the Opie Reading Room of the Van Pelt and Opie Library. Dr. Robert Nara viewing the “People, Place and Time” exhibit during its grand unveiling in December of 2009. 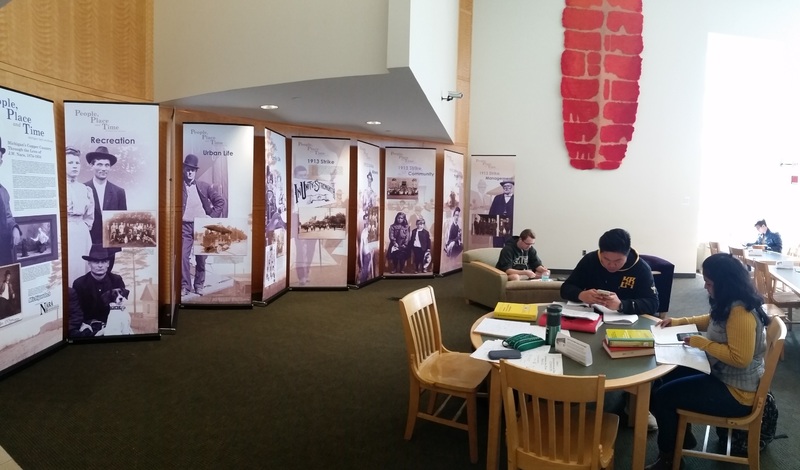 Michigan Technological University’s Van Pelt and Opie Library welcomes alumni, family and friends to visit the library for special services and exhibits during Alumni Reunion. The Michigan Technological University Archives and Copper Country Historical Collections staff encourages visits and will have expanded hours. The library will be open on Saturday, August 8 from 8:30 a.m. to 6:00 p.m. The archives reading room will be open Saturday, August 8 from 8:30 a.m. to 5:00 p.m.
Walk-in between the hours of 10 a.m. and 12 p.m. for a behind-the-scenes tour of the stacks. Our Senior Archivist will offer 15 minute tours to talk about what we do in the archives and to show off some of the more popular collections. To coincide with Alumni Reunion and the Hockey Reunion, our new exhibit features a look at the history of men’s ice hockey on campus. Memorabilia and photographs throughout the years showcase the glory and challenges of the program throughout the years. A prominent photograph of the 1964-1965 NCAA Men’s Ice Hockey team pays homage to the fiftieth anniversary of the winning season. Yearbooks and other university books are available for browsing in one of the archives’ book case displays. This is a nearly complete range of Keweenawan yearbooks from 1924-2002 and a copy of the Engineer from 1915. 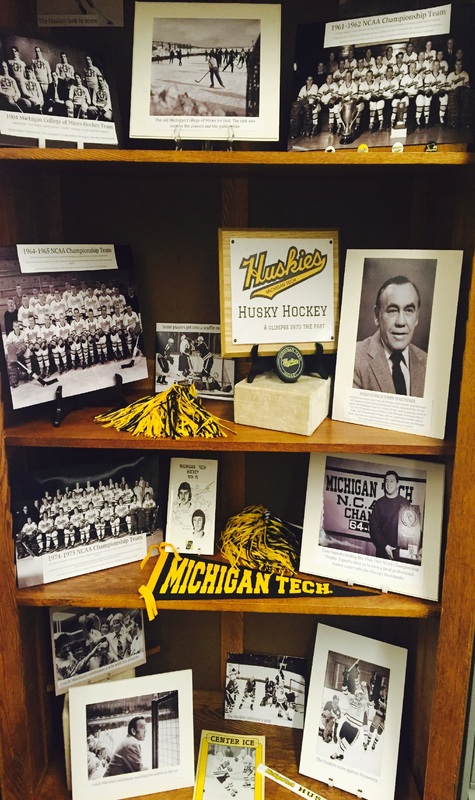 The display case also includes popular university publications such as the book Michigan Tech Centennial 1885-1985, alumni bulletins from the Michigan College of Mining and Technology (MCMT), the MCMT Freshman Bible, and various years of the University’s Winter Carnival Pictorial. Also available for viewing: Lode on microfilm: 1921-2005 (digital copies of the Lode from 2009-2014 available on their website: http://issuu.com/michigantechlode), Michigan Tech vertical files: newspaper clippings and printed ephemera related to campus activities, sports, organizations, and academics, and Michigan Tech photo vertical files: photos related to campus activities, sports, organizations, and academics. Photocopies are available. The exhibit will remain on display at the Portage Lake District Library through Monday, December 16. For more information on the installation, contact the library at 906-482-4570 or via e-mail at info@pldl.org. Additional information about the exhibit is available from the Michigan Tech Archives at 906-487-2505 or via e-mail at copper@mtu.edu. 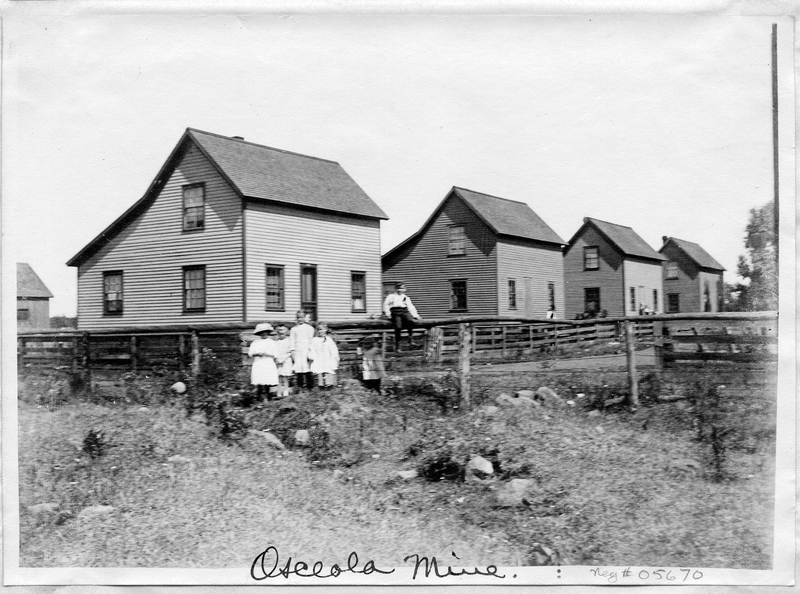 Company houses at Osceola location. The role that company-provided houses played in the 1913 Michigan Copper Strike will be the topic of a presentation at the Jeffers High School Library at 7:00 p.m. on Wednesday. 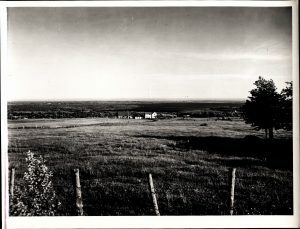 Photograph courtesy of the Michigan Tech Archives, Image #MTU Neg 05670. 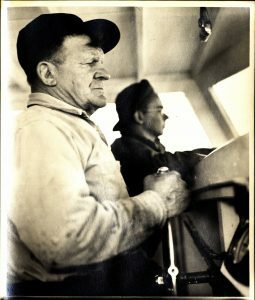 Labor and and management conflict in the Keweenaw Peninsula is explored through a traveling exhibit in Painesdale during the month of April. “Tumult and Tragedy: Michigan’s 1913-14 Copper Strike,” a traveling exhibit created by the Michigan Tech Archives, will be on display through May 1. 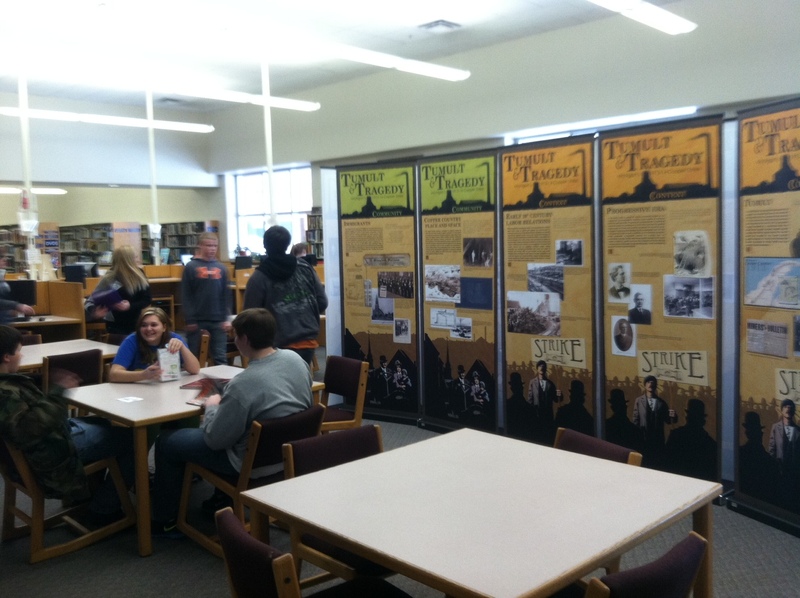 The exhibit is hosted by the Sarah Sargent Paine Historical Research Center in the Jeffers High School Library in Painesdale. A special open house will take place Wednesday, April 10. Michigan Tech Archivist Erik Nordberg will present an illustrated talk entitled “Company Houses Along the Picket Line” exploring the role of company-owned houses in the 1913 strike. The event is scheduled for 7:00 p.m. and the exhibit will be open to visitors. Support for this event is provided by the Sarah Sargent Paine Historical Research Center. On July 23, 1913, members of the Western Federation of Miners took to the streets over grievances about pay and working conditions. The strike was marked by violence and tragedy, including the deaths of more than 70 people, mainly children during a Christmas Eve party at Calumet’s Italian Hall. Local mining companies refused to recognize the union, however, and the strike finally ended in April 1914. The confrontation between organized labor and mining companies affected local residents from all walks of life, created headlines across the nation, and continues to resonate in Michigan’s Copper Country today. The “Tumult and Tragedy” traveling exhibit consists of 12 panels and includes photographs, excerpts from newspapers, documents, and songs from the strike era. A free giveaway brochure contains links to related web content about the 1913-14 Michigan copper strike online here. 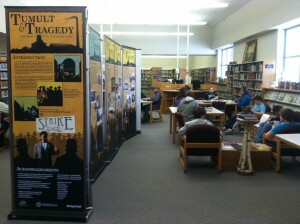 The exhibit was made possible through a $14,500 grant from the Michigan Humanities Council, an affiliate of the National Endowment for the Humanities. Additional funding was provided by Michigan Technological University, Cranking Graphics, and Dr. Robert and Ruth Nara. For further information, contact the Michigan Tech Archives at copper@mtu.eduor 906-487-2505, or the Jeffers High School Library at 906-487-0599. “Tumult and Tragedy: Michigan’s 1913-14 Copper Strike,” a traveling exhibit created by the Michigan Tech Archives, will be on display from March 4 to March 27 at the L’Anse Area School Public Library, located in L’Anse High School. The library will be open Monday-Friday, 7:30 a.m. to 6:00 p.m.
A special open house will take place on Sunday, March 17. Jane Nordberg, managing editor for The Daily Mining Gazette, will present “Pulp and Propaganda: Newspapers in the Strike Era” at 1:00 p.m. The event and exhibit are free and open to the public. The exhibit explores a turbulent period in Michigan’s historic copper mining district. On July 23, 1913, members of the Western Federation of Miners took to the streets over grievances about pay and working conditions. 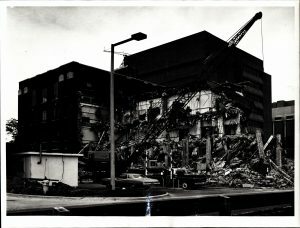 The strike was marked by violence, including the deaths of more than 70 people, mainly children during a Christmas Eve party at Calumet’s Italian Hall. Local mining companies refused to recognize the union, however, and the strike finally ended in April 1914. The conflict, sorrow, and tragedy of this confrontation between organized labor and mining companies affected local residents from all walks of life, created headlines across the nation, and continues to resonate in Michigan’s Copper Country today. The exhibit will remain on display at the L’Anse Area School Library Wednesday, March 27 and then tour to two other locations in Houghton and Baraga Counties. The exhibit was made possible through a $14,500 grant from the Michigan Humanities Council, an affiliate of the National Endowment for the Humanities. Additional funding was provided by Michigan Technological University, Cranking Graphics, and Dr. Robert and Ruth Nara. For further information, contact the Michigan Tech Archives at copper@mtu.edu or 906-487-2505, or the L’Anse Area School Public Library at 906-524-6213.